The Hotel Century Southern Tower in Shibuya Ward welcomes the new year with a party plan. The offer makes it possible for guests to welcome the new year in a private room on the 21st floor, while taking in a magnificent view of Tokyo. Guests are invited to enjoy their time with an intimate group of friends, coworkers or family while watching the dynamic cityscape. The hotel provides the opportunity of a quiet meeting away from the noise of a crowded restaurant hall. The plan includes a wide range of free alcoholic and non-alcoholic drinks. The food is the very best of French cuisine prepared by the chef of the hotel’s Tribeks restaurant. 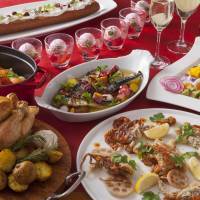 Among the dishes included in the plan are various fish and meat plates, pastas and desserts. The plan is available from Jan. 1 through the end of February from 11 a.m. to 9 p.m. The private room can be used for two and half hours, 30 minutes longer than the standard time, and is priced at ¥6,500 per person. The price includes tax and 10 percent service fee. The Hotel Century Southern Tower is three minutes from Shinjuku Station’s South Exit. For more information or reservations, call 03-5354-0111 or visit www.southerntower.co.jp . The Rihga Royal Hotel Tokyo is selling a limited run of 10 roll cakes a day from Dec. 30 to Jan. 9 at its gourmet takeout shop Melissa. The roll cake is decorated with a tori (chicken), the Chinese zodiac animal for 2017, and small chicks in a nest. The shop started selling zodiac desserts in 2010, and the year’s zodiac animal is used as the motif for the roll cakes every year. The cakes have proven to be popular souvenirs for relatives and friends during the New Year’s holidays. The white sponge cake is made of eggs called kometama, which come from chickens raised on rice, with plenty of fresh cream. 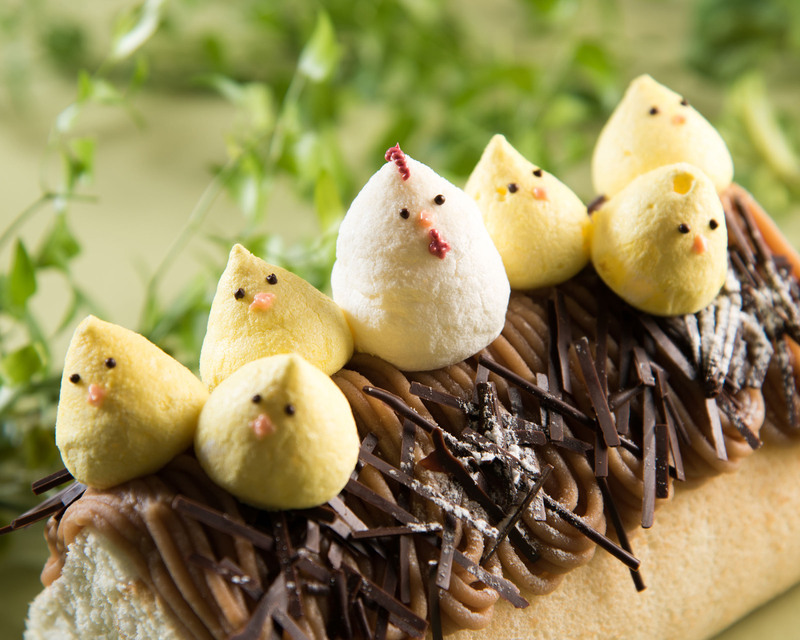 The nest is made with marron cream and chiseled chocolate, while the chicken and six chicks are made from meringue. The roll cakes are made with the wish to attract good luck, as the tori motif is a pun on torikomu (taking in), with the hope that the new year will bring health and an active life. The roll cake, which is seven cm in diameter and 16 cm in length, is priced at ¥2,017 (tax included), and must be ordered at least three days prior to pick up. The Rihga Royal Hotel Tokyo is seven minutes from Waseda Station (Tozai Line) or 10 minutes on the hotel’s shuttle bus from Takadanobaba Station. For more information or reservations, call 03-5285-1121 (Melissa) or visit www.rihga.co.jp/tokyo . Hotel Hatsuhana in Hakone Yumoto is offering an iki fugu (fresh blowfish) kaiseki (traditional multicourse cuisine) plan that is just perfect for the cold winter season. 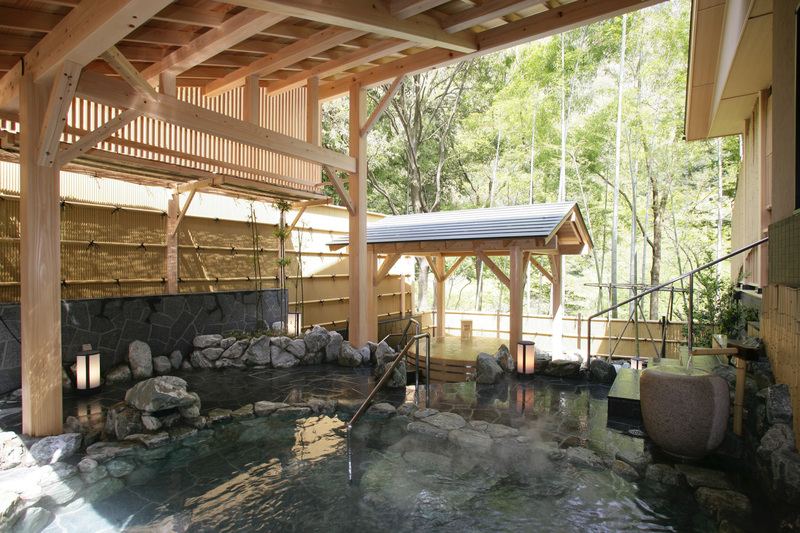 The exclusive plan combines relaxing in the hot spring with a Japanese-style dinner and breakfast the following morning. For dinner, guests can enjoy luxury food such as tiger blowfish, which is delivered to the hotel alive. 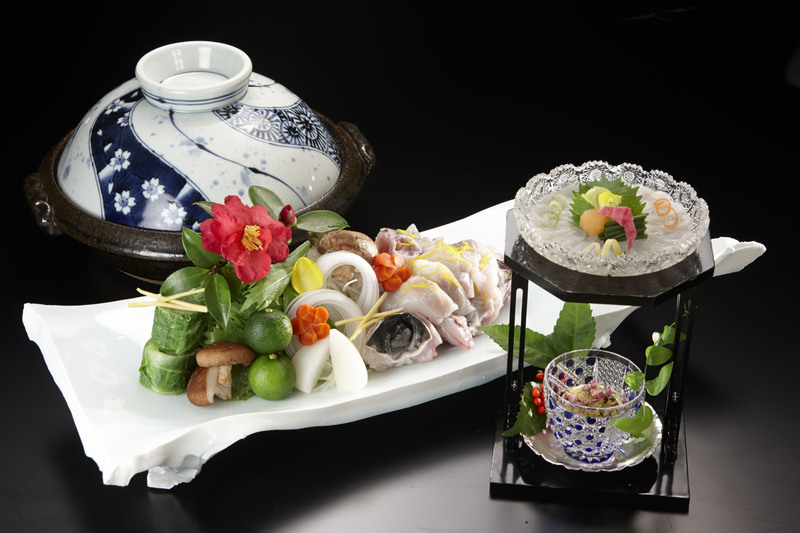 The kaiseki course includes an array of dishes such as tessa, or thinly sliced fugu sashimi, charcoal-grilled blowfish, a blowfish hot pot and rice and blowfish porridge. Guests can also order separately hirezake, or hot sake flavored with grilled blowfish fins. Priced from ¥28,150 per person for four people in a room and from ¥33,150 per person for two people in a room (tax and service charge included), the rooms must be reserved at least three days in advance. The plan is available until Feb. 28, except between Dec. 27 and Jan. 8. Hotel Hatsuhana is 10 minutes by bus (free shuttle available) from Hakone Yumoto Station (Odakyu line), which is 85 minutes on the Odakyu Romance Car express train from Shinjuku Station. 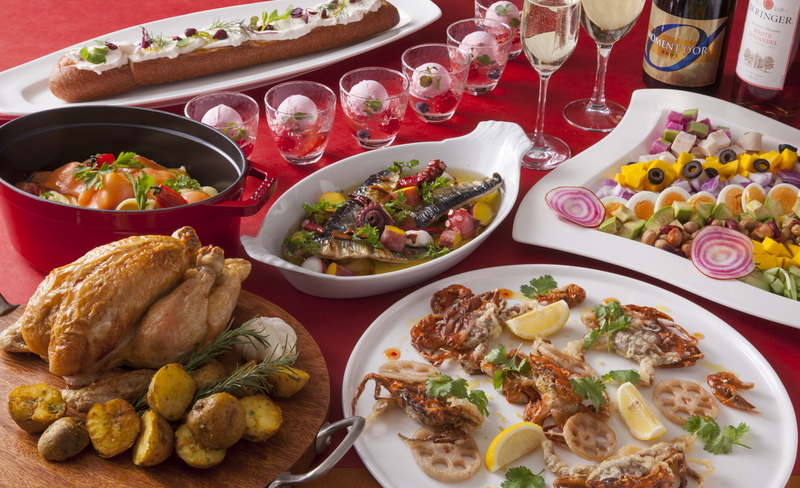 For more information, call 0460-85-7321 or visit www.odakyu-hotel.co.jp/hatsuhana .